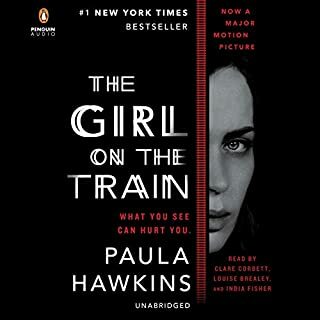 Would you try another book from Paula Hawkins and/or the narrators? I don't think there was an issue with the performances the book was long winded. If it was half as long I might have enjoyed it. The story line just circled around the main characters alcoholism, apologizing for her behavior and broken marriage. enjoyable for young and old. 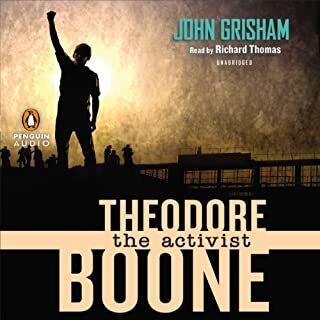 What made the experience of listening to The Activist the most enjoyable? My 9 year old loves this series. No sexual undertones or needs for parental worry. I can listen to it with her and find it enjoyable also. The dialogue about legal process is educating and appropriately written for children to understand. I recommend this series. What made the experience of listening to Love and War the most enjoyable? I am not a fan of history. The characters were dynamic. This is a very long book. So its a good value for the money. The narrator is great. The characters fabulous. I am not sure how historically accurate the story is as I am not into history. However I thoroughly enjoyed the series. If you could sum up The Arctic Incident in three words, what would they be? My husband and daughter enjoy listening to this story together. Yes. 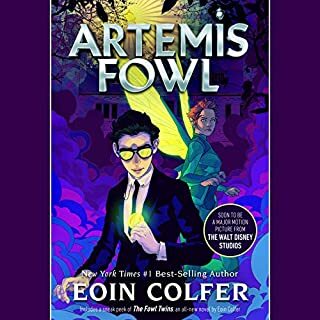 The other Artis Fowl books. No. Its nice to look forward to hearing it. Good fun for the family. 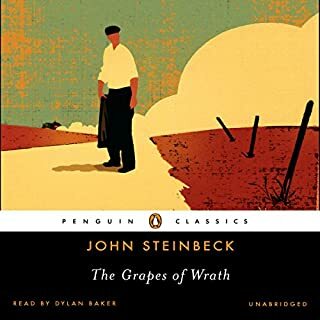 That the narrator sounded a little like Henry Fonda so it also made the story immediately familiar. Have you listened to any of Dylan Baker’s other performances before? How does this one compare? No. First time I had listened to his work. I listened to this with my 8 year old. There is some cursing but the story is great. She made the observation that the machine of the bank is very similar to the foreclosure crises that we are coming through. Found that pretty insightful for a child. She loved the characters. I loved hearing the story after reading it years before. Its a long book and worth the time. If you could sum up Theodore Boone: Kid Lawyer in three words, what would they be? 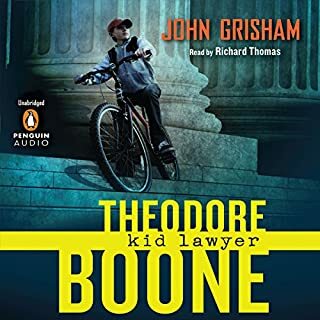 What was one of the most memorable moments of Theodore Boone: Kid Lawyer? When Theodore struggled with fighting in school. He is not a fighter but struggled with the concept of sticking up for right vs wrong. A very real everyday struggle for children and adults. Which character – as performed by Richard Thomas – was your favorite? No. Its a book that my daugther and I listen to together. 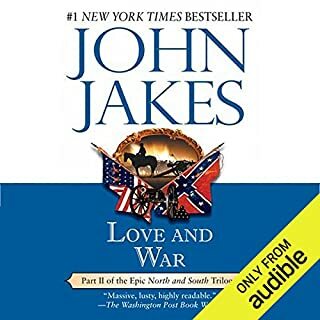 This is a book that can be listened to as a family. The tv is off or in the car the radio is off. Conversation regarding characters and situations in the book follow. 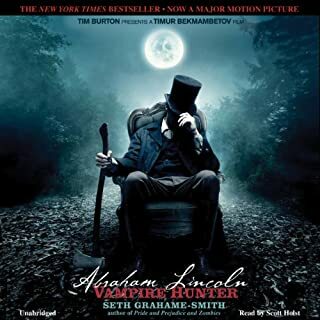 What did you love best about Abraham Lincoln: Vampire Hunter? It was a fascinating twist on an interesting man. What about Scott Holst’s performance did you like? Yes and no. It required attention. I needed to listen and couldnt be distracted. Well spent in that I listen to it at work. However I do not feel compelled to listen to it. The narrators sounds very very young and I imagine the character to be a teenagers and she isnt. She does a great job but for the most part may not have been the right choice. I think the story line is intriguing but its not holding my interest. What could Molly Harper have done to make this a more enjoyable book for you? Molly Harper is a great voice over artist. She may not have been the right choice for this character. This romance may have been better had another pass been made at proof reading and edit. I may not be the romance novel type but I felt it was weak. This is the first in a series. We were looking for a new series for my daughter. I appreciated most of the reviews are from kids so we ordered it. She loved it. Cant stop listening to it. We looked at the second in the series but she also looked at the book. It has drawings, maps etc so she is requesting to read that one. However I am sure she will want the audio also since she loves listening to books. When a book is on she sits on the floor and constructs legos. The tv is off and so is she. Quiet time of brain engagement. 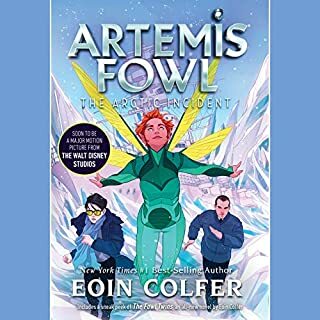 This is a wonderful story with adventure and magical lands. What does Nathaniel Parker bring to the story that you wouldn’t experience if you just read the book? He is a wonderful narrator and brings the characters to life. I have heard him in other books and he is a selling point for the audio. Its a good start to a new fun series. I didn’t think it was such a great idea when my parents decided the family would spend the summer in a vacant house in a small town called Blairingville. Boringville seemed more like it. But as it turned out, this vacation was anything but boring. It all started when my brother and I looked in that closet marked OFF LIMITS. Now I’ve got a monster breathing down my neck! 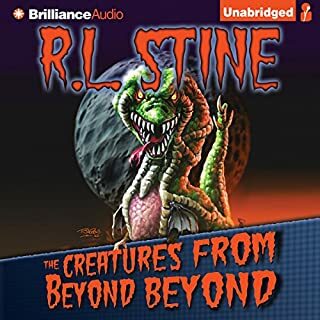 Would you consider the audio edition of The Creatures from Beyond Beyond to be better than the print version? Havent read the print version. With the goosebumps we always like the audio's. Brings an old radio feel to the event.